GRANITE FALLS, Minn. — The next episode of Prairie Sportsman features Lake of the Woods fishing guides who have been angling for decades, the return of the Dakota skipper butterfly to a southwest Minnesota prairie and the path to becoming a master naturalist. “Fishing Lake of the Woods and Saving the Skipper” will air on Pioneer Public Television Sunday, February 17 at 7:30 p.m.; on Lakeland Public TV Saturday, February 23 at 2:30 p.m.; on KSMQ Thursday, April 4 at 7:30 pm; and will be rebroadcast on TPT MN. Check local listings. Host Bret Amundson travels to Lake of the Woods to fish with resort owners who have been shaping the fishing industry on the lake for decades. Steve Ballard, Ed and Jack Arneson, and Mike Trueman show Bret ways that these fishing guides have adapted and innovated their techniques over the years. Dakota skipper butterflies once flourished in Upper Midwest prairies — from Chicago to Saskatchewan — but their native habitat gave way to development and the skipper disappeared from all but a few sites in the Dakotas and one in Minnesota. 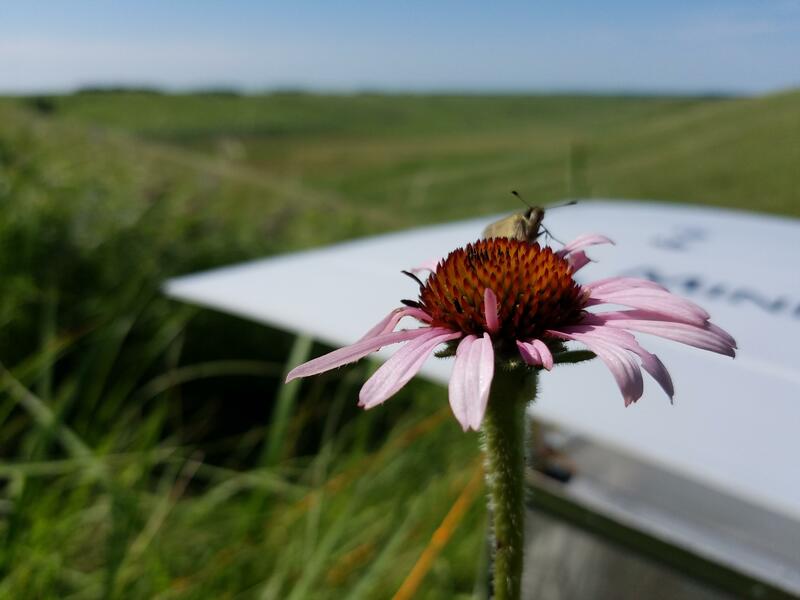 Today, a partnership between the Minnesota Zoo, DNR and Nature Conservancy is reintroducing the Dakota skipper by raising them at the Zoo’s lab and releasing them at the Hole-in-the-Mountain Prairie near Lake Benton. In the final segment, Amy Rager, U of M Extension educator of Morris, and volunteers Karen Jeffords-Brown and Kathy Robbins explain the pathway to becoming a certified master naturalist. Minnesota’s 2500 master naturalist volunteers work across the state to restore habitats, lead nature hikes, gather research data and educate the public on environmental stewardship. The program was launched in 2005 by the University of Minnesota Extension and DNR. Prairie Sportsman celebrates our love of the outdoors – to hunt, fish and enjoy recreation provided by our vast resources of lakes, rivers, trails and grasslands – while promoting environmental stewardship. Prairie Sportsman’s team includes Cindy Dorn, producer/writer; Bret Amundson, host/assistant producer; Dylan Curfman, editor/videographer and Max Grabow, assistant videographer/editor. The 2019 season is made possible by funding from the Minnesota Environment and Natural Resources Trust Fund, SafeBasements of Minnesota, Diamond Willow, Live Wide Open and Western Minnesota Prairie Waters. Established in 1966, Pioneer Public TV is an award-winning, viewer-supported television station dedicated to sharing local stories of the region with the world. For more information visit www.pioneer.org.